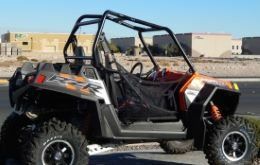 ATV, Off-road Vehicle Insurance in Santa Maria California - California Star Insurance Service Inc.
At California Star Insurance Service Inc., we can provide insurance coverages for your ATV, Jet Ski or off-road vehicles in Santa Maria and throughout the state of California. Off-road vehicles can be fun but you need to make sure you have the right protection in case of damage or loss. This coverage has similar policies to auto and motorcycle insurance, so having a ATV professional assist you in picking the right policy is essential. We can help you find the right coverage for your special vehicle to protect your investment depending on the vehicle type. Our insurance professionals can work with the carriers and their special requirements for ATV insurance. Fill out our quote form or call us at 805-266-7971, and we can assit you in finding the right coverage at a competitive rate.